(in option) 1.500€ ex vat for practical project coaching & mentoring. QRM Training – A authoritative methodology for reducing lead times in your operations, for services and manufacturing. Quick Response Manufacturing (QRM) is a working methodology to reduce lead times in your organization. The purpose of this tool is to bring your services or products to market more quickly. This 3 day Quick Response Manufacturing (QRM) training seeks to increase your Lean capabilities through a multi-disciplinary approach taught by our Master Black Belt experts. This program is designed to provide all the tools and attitudes anyone needs to understand to execute the managerial aspects of Quick Response Manufacturing governance and transformations. 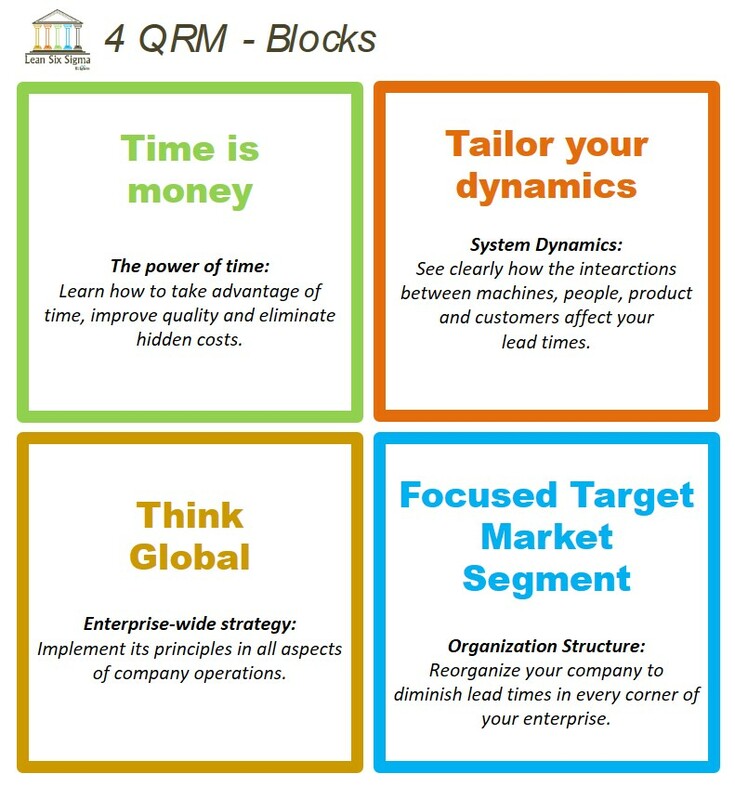 After this QRM training, you will be able to produce results by reducing non-value-added time, by improving your productivity, creating economic value, ROI and in the end increase your customers satisfaction. Price: 1785€ ex Vat for 3 days + the exam. Prerequisite – Lean Yellow or Lean Thinking experience or skills. Subscription, information, quote or expert call back.